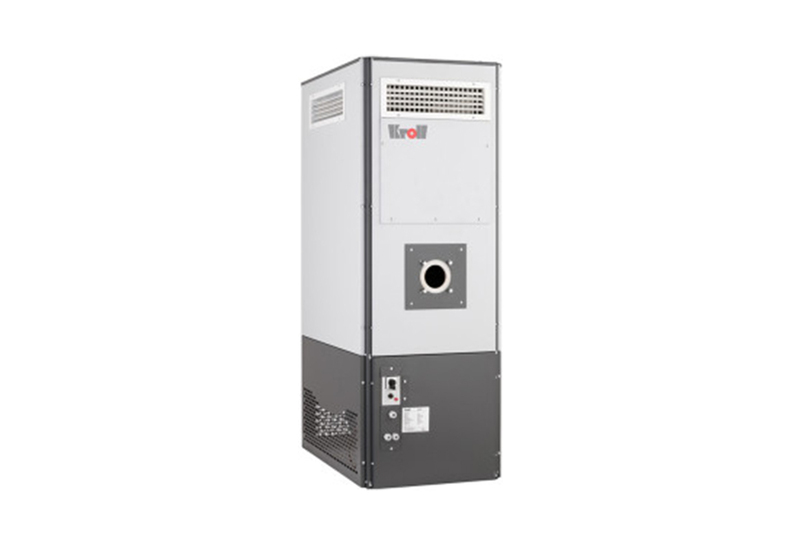 Gas Cabinet Heaters -These Kroll gas cabinet heaters ensure immediate heat without long heat up periods. 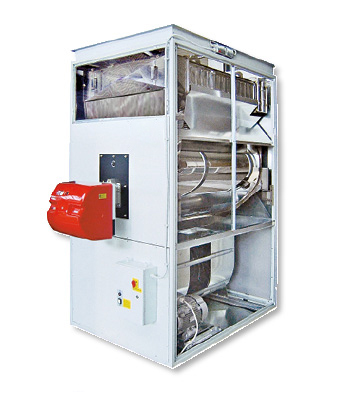 A free blowing warm air system is one of the most cost effective and efficient means of heating industrial buildings. It is better value than a wet system with boilers and unit heaters or radiators , having a faster speed of response. 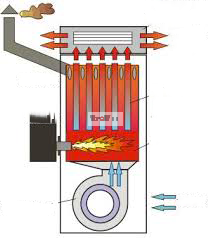 Warm air space heating systems use a fan to draw air in from the space being heated, pass it across a heat exchanger, and distribute the warmed air evenly throughout the space. Warm air heating offer considerable flexibility in terms of its location, ensuring the layout of the heating system is optimized for the configuration of the space being heated. A warm air system is one of the most cost effective and efficient means of heating industrial buildings, such as warehouses, garages, factories, exhibition halls and greenhouses, just to mention just a few of the various possible fields of operation. These industrial gas heaters can be operated with fresh air, secondary air or recirculated air. These German made floor standing warm air heaters, combine proven heat exchanger technology, to ensure a high efficiency – in excess of 91% to provide a cost effective and durable range of heaters , that will serve you well for many years.Efficiencies – These Kroll Gas Fired Industrial Heaters have efficiencies which meet or exceed the requirements of current UK Part L2B Building Regulations. To name but a few ! You may refer to these Industrial Gas Heaters as a free standing gas heater,commercial gas heaters , industrial space heaters, or even an industrial gas fired heater / gas fired air heaters industrial, all we know is that we have one of the best Gas Heater UK wide. At Flexiheat UK we are always striving to satisfy the requirements of our customers. 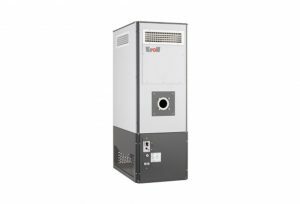 Due to the increasing demand we can now offer a range of gas heater cabinets which are supplied with movable rotating distribution heads. The TE range offers the same level of design and build quality of the Kroll units but are an advantageous alternative as the rotating heads enable you to easily direct warm air into any area within your environment.